Sophie is an artist who wants to spin beautiful creations all day long and, someday, a masterpiece. 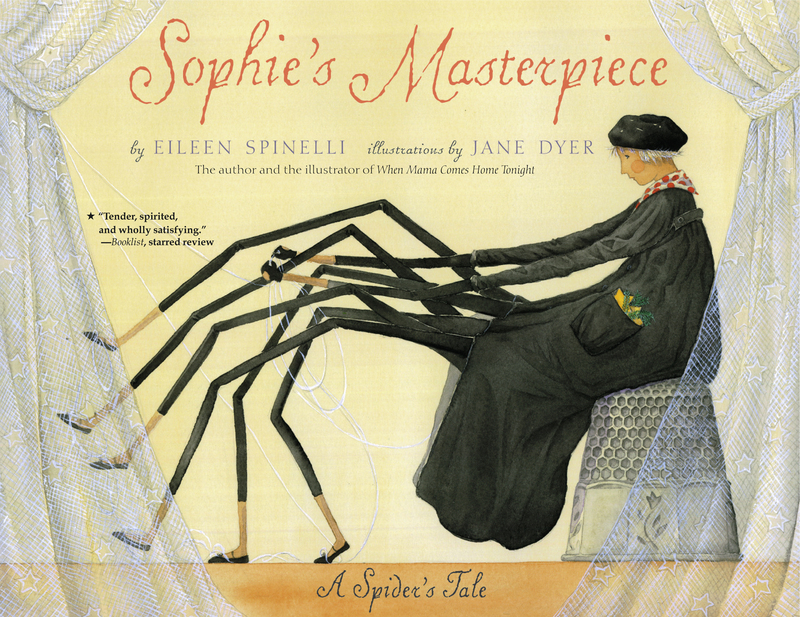 As a spider, though, Sophie has a hard time finding a welcoming place in which she can be free to live and spin. She's shooed and shuffled all over Beekman's Boardinghouse until one day she finally finds the warm, comfortable, safe home for which she always yearned -- and the inspiration for the masterpiece of her lifetime.